Australian Grand Prix: Dammit, (Sir) Lewis, didn't you read the script? You were supposed to roar off into the distance the minute the lights went out but instead you allowed your 'apprentice' to steal the race! I trust that, as a true blue - or should that be 'true black'? - English gent of the first order you did not fall victim to all that Australian beer and the wiles of those many Australian 'Sheilas', as I believe they are called! Even so, it was a special pleasure to find out that it was all 'fake news' about Ferrari developing a rocket-propelled engine! "CHEAT": If you missed it last week, more fool you because I did tell you that it was brilliant and you know you can trust my judgment! The storyline was intricate - and diabolical! If you know how to use all those 'catch-up thingies' then do it now! Given the deplorable state of our TV productions, you will not see a better, more unusual thriller performed by a superb cast. In which I suffered severe schizophrenia: Yesterday I watched 'footie' on the 'telly', not something I am in the habit of doing but, alas, sentiment and memories drove me to it. As a 'nipper', I was a fervent fan of Wolverhampton Wanderers but later in life, during the '80s, I was drawn to Manchester United - the era of George Best and all that! Yesterday, they played each other and 'Wolves' won. I didn't know whether to cheer or cry! More sport - sorry! For some reason and, I'm sure, absolutely nothing to do with those huge men and their muscular thighs, the 'Memsahib' has become hooked on Rugby. Yesterday I watched the England vs. Scotland match, well, the first half anyway! What a bore, the English massacred the 'Jocks' 31-nil so there did not seem much point in watching any more and, in the words of the dear old 'Screws of the World', "I made my excuses and left." Where-ever you are on this planet, I will be surprised if you did not hear my chin hit the floor when I returned later to find that the game ended 38-38! 'Gob-smacked' ain't the word! I hope our regular commenter, 'Jimmy Glesga', isn't suffering too much this morning! Judicial Watch keep on squeezing: Judicial Watch is an American conservative watch dog group that has its hands firmly clamped round the throat of the Obama regime in general, and the Clinton gang in particular. It is unremitting in its efforts and finally it seems to be on the verge of success. A judge has ordered the main 'perps' to produce previously hidden Obama-era government papers. Should make for interesting reading! Was the great “humanity” on which his reputation is based, exemplified by his extraordinary body of self-portraits, the product of painfully candid self-scrutiny, or a sophisticated, yet essentially sentimental gloss he was able to lay over his images at will? 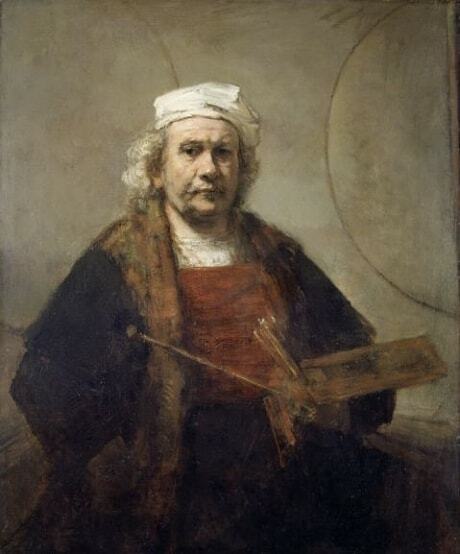 I cannot answer that but what I can say is that those self-portraits, once seen, are never forgotten. Vive La France - no, really! Yes, yes, I know I occasionally spice these pages with snarky comments aimed at France but actually I am rather fond of the place and its people. Anyway, there is an interesting article at The Coffee House praising 'mini-Macron' - yes, praising him! - but I will not attempt to precis it but instead urge you to give it a read. A word of advice to the Defence Ministry: Do not - ever! - take on a 'squaddie's' Mum! 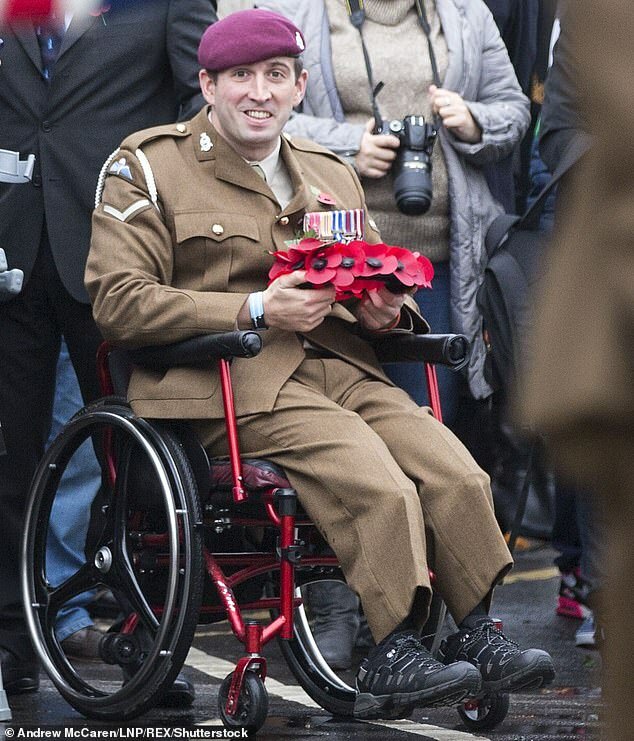 I refer to Mrs. Diane Dernie, mother of Lance Bombardier Ben Parkinson, formerly of 7 Para, Royal Horse Artillery. He, you may remember, was, in effect, 'blown to bits' in 2006 by a landmine in Afghanistan in which, amongst other things, he lost both his legs. Ever since, on his behalf, his mother has fought an almost equally severe campaign against the 'quill pen pushers' in the MoD and finally she has won proper recompense for her son. Well done, Ma'am, and you too, Lance Bombardier Parkinson! Incidentally, for my non-military readers who may be wondering how 'Horse Artillery' fits into the Para Brigade, it is an honorific title granted to certain artillery units even if the rest of the 'Toms' refer to all gunners as "nine mile snipers"! As an ardent theatre buff and one who occasionally mentions Q Letts, you may be interested to know that he has given a rare 5* review to a play called “Admissions”. Apparently it caused quite a stir amongst the liberals in the States. This one: "ADMISSIONS is a new play that explodes the ideals and contradictions of liberal white America. Sherri Rosen-Mason (Jessica Hecht) is head of the admissions department at a New England prep school, fighting to diversify the student body. Alongside her husband, the school's Headmaster, they've largely succeeded in bringing a stodgy institution into the twenty-first century." Right on top of the organized scam of college admissions up for sale at top ranked schools. Liberals appear to be hardest hit. David, He follows you around because it has always been clear that you are quite the "Renaissance Man". Judicial Watch knows where the collusion conspiracy is and it ain't with Trump. Wow, a god-like capital 'H'! Bob, you are in danger of reaching 'JK' standards of obscurity! A judge has ordered the main 'perps' to produce previously hidden Obama-era government papers. More orders falling on deaf ears. David, one can only aspire. Bob, to compete with 'JK' you may need to perspire! My best wishes to Mrs Diane Dernie and her son. Meanwhile Sinn Fein IRA killers and commanders are having their salaries transferred to their bank accounts by the UK Government. That was linked to on one of my daily blogtrails and I thought you might enjoy it David. When "the fuss" over this David hits the US media we can be confident, it'll be Trump's fault too.